A steel framed glass structure comprised of a number of channel set and bracketed glass panels forming a glass screen at each of the three levels serviced by the glass lift. The steel ‘goal post’ frame was designed, engineered and fabricated by Ion Glass to meet all structural criteria. 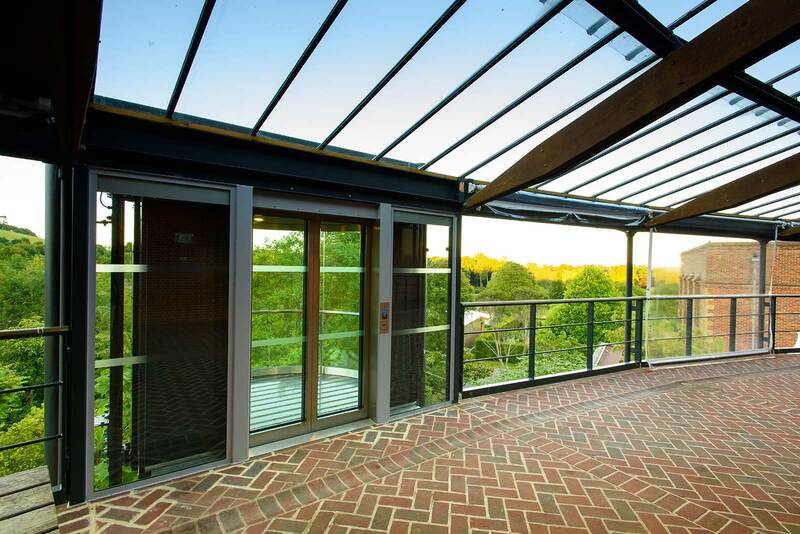 A single panel glass roof was installed at both the foyer level and at first floor level. 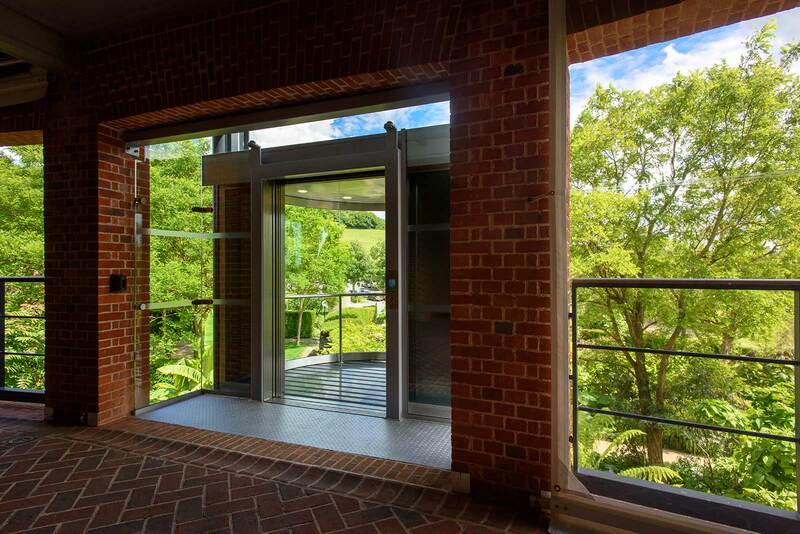 Glyndebourne Opera House was founded in the 1930’s when John Christie, owner of the estate at Glyndebourne, married an opera singer and created a small purpose built theatre to stage operatic products. Glyndebourne is still headed by the Christie family but has developed considerably over the decades to become one of the most celebrated and unique opera houses in the world. Developed to welcome an audience of 1200 to each performance, opera lovers can enjoy a picnic in the gardens and a contemporary art gallery in the extended interval. The opera house was completely re-built in the 1990’s and developments and improvements have continued, making this an impressive and beautiful environment for performers and visitors. 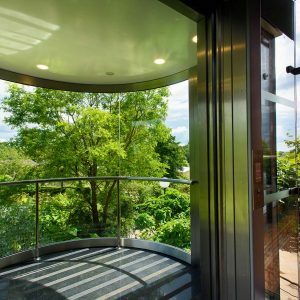 The recent installation of a glass lift, set into structural glass on the exterior of the building has improved visitor access whilst at the same time adding a contemporary style statement to the opera house. 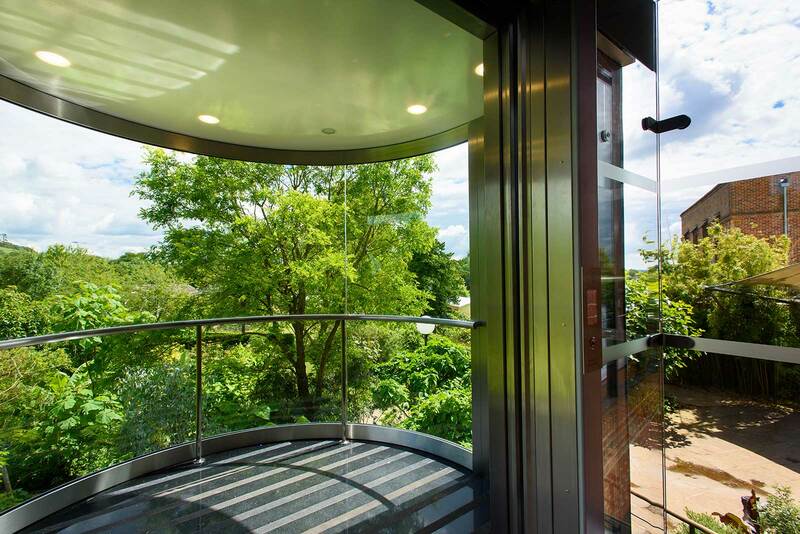 Ion Glass were commissioned to install a series of glass screens adjacent to the lift entrance doors on three different levels. The glass screens were designed and engineered to create an interface between the lift platform and the building itself. Crucially this involved the fabrication of a bespoke steel ‘goal post’ frame with sufficient structural integrity to support the glass panels, the motors for the lift doors, the glass lift doors and the wind load. The bespoke structural steel work was designed, engineered and fully fabricated by Ion Glass as part of the overall project. 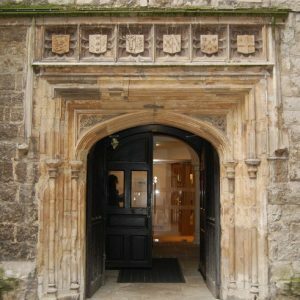 Each glass screen consisted of four glass panels set into channels and bolt fixed at the walls and corners using bespoke brackets. The use of channels allowed a small level of flexibility within the construction as it was not practical to make templates prior to manufacture of the glass. 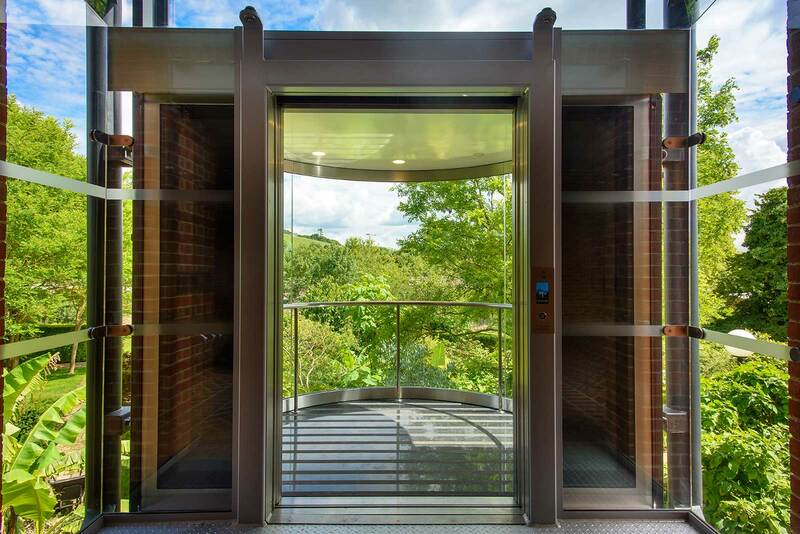 A single glass panel was installed over the doors at foyer level and at first floor (Circle One) level, accurately manufactured to provide adequate clearance for the doors and the door motor.